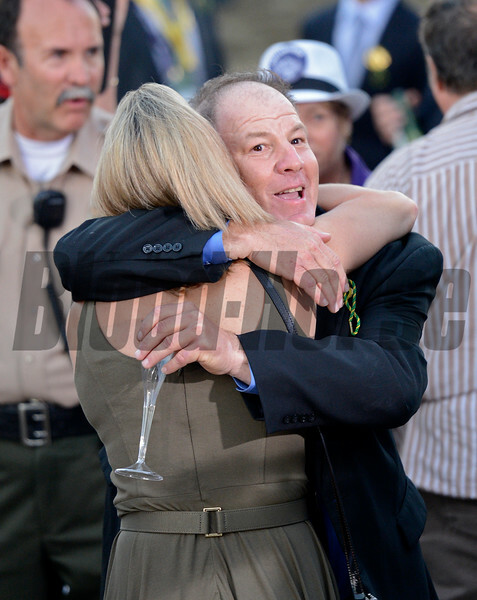 Caption: Charlie Lopresti, trainer of Wise Dan, hugs Tracie Wilkes, wife of Fort Larned trainer Ian Wilkes. Fort Larned with Brian Hernandez Jr. wins the Breeders' Cup Classic. 12012Breeders' CupSanta AnitaCaliforniaClassicFort LarnedWilkesJanis WhithamBrian Hernandez Jr.